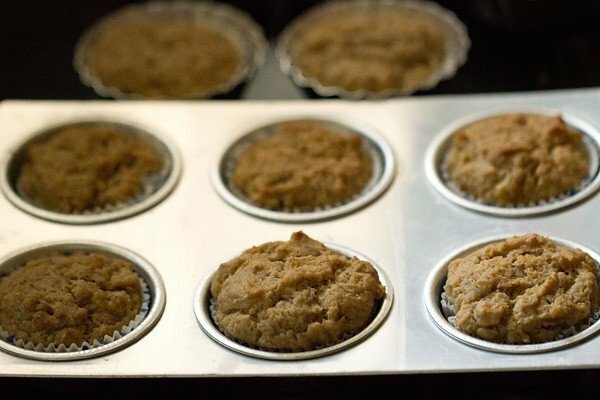 easy to prepare whole wheat eggless and vegan banana muffins recipe. 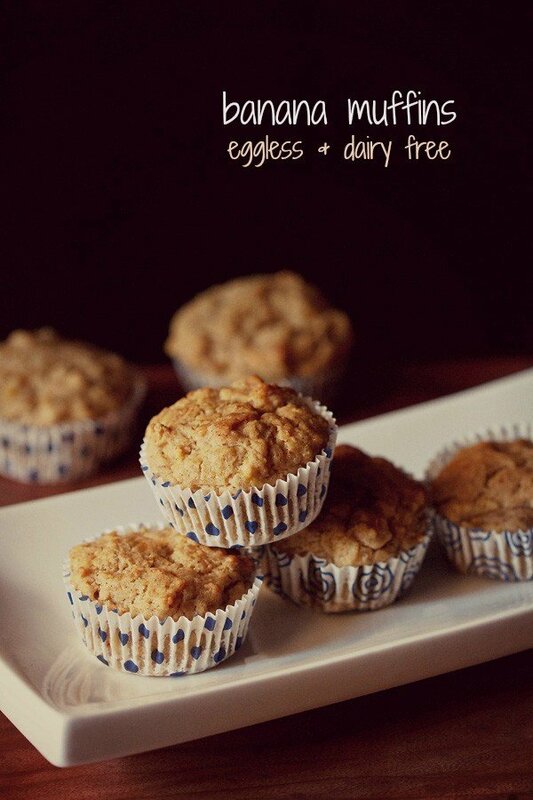 eggless banana muffins recipe with step by step photos – easy to prepare delicious whole wheat eggless banana muffins. bananas always get ripened at home and every time i have surplus bananas that are ready to be used in baked goodies or desserts. most of the times i make banana cake or banana bread and sometimes these muffins. 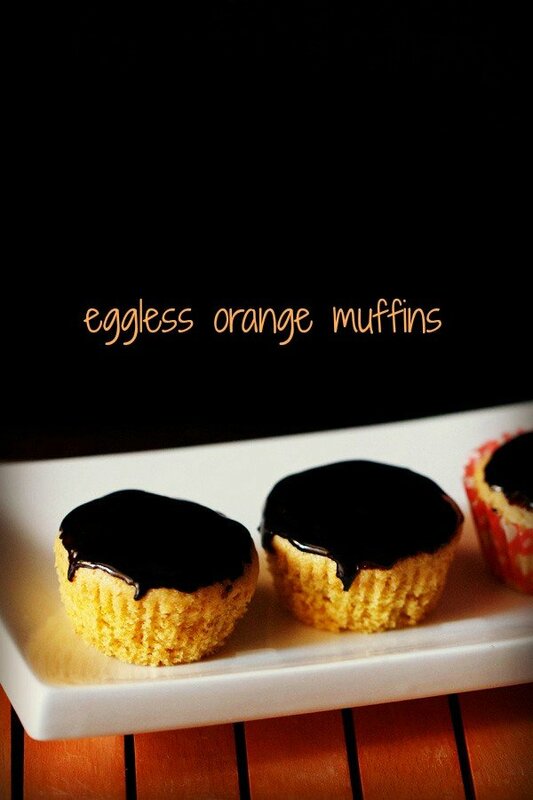 so this is again an easy muffin recipe. 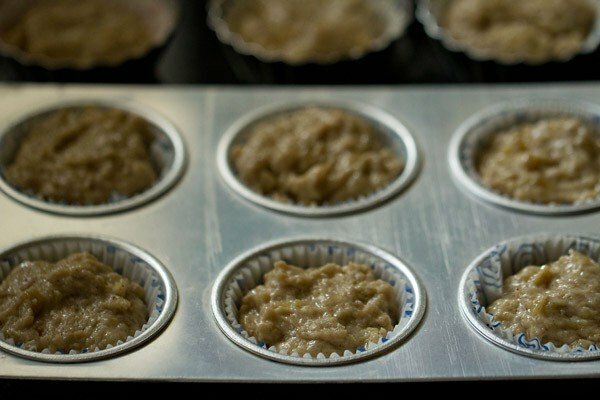 you can use ripe bananas or over ripe bananas to make these vegan muffins. the recipe serves 10 medium muffins. though the muffins don’t look that appealing, but they were delicious. 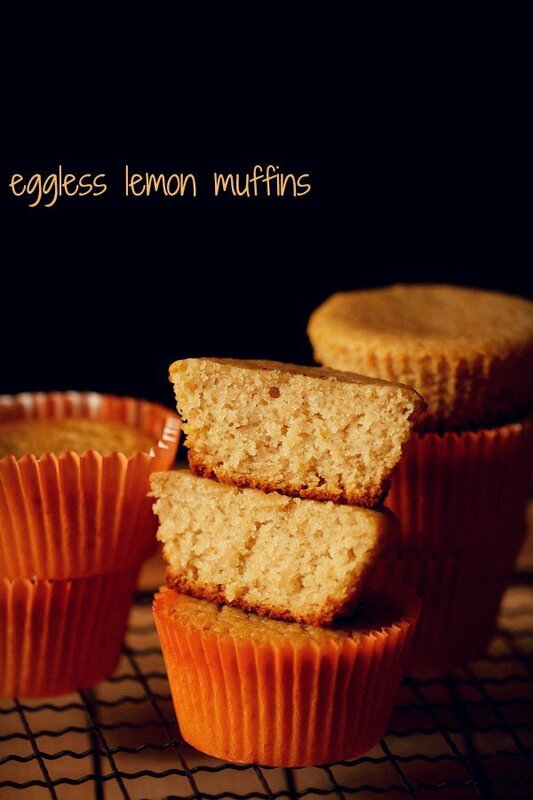 serve these eggless banana muffins plain as tea time snack or as a dessert. line a muffin tray with muffin liners. also preheat the oven to 180 degrees celsius/356 degrees fahrenheit for 15 minutes. you can use the same temperature for preheating in the convection mode of a microwave oven. 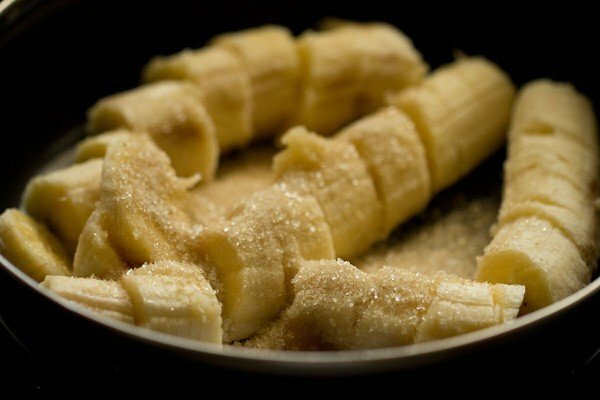 in a bowl take chopped bananas along with sugar. 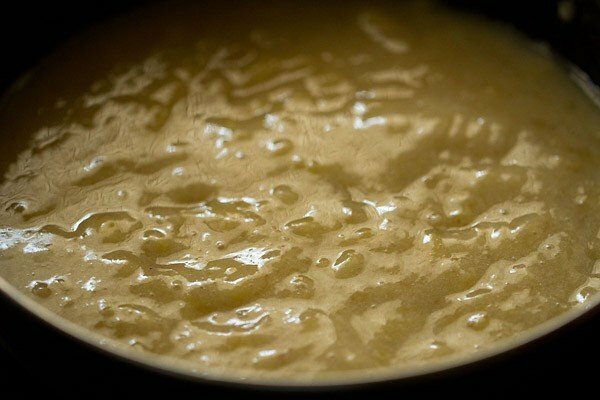 begin to mash the bananas with a fork or a masher till smooth. a few small chunks of bananas are fine. 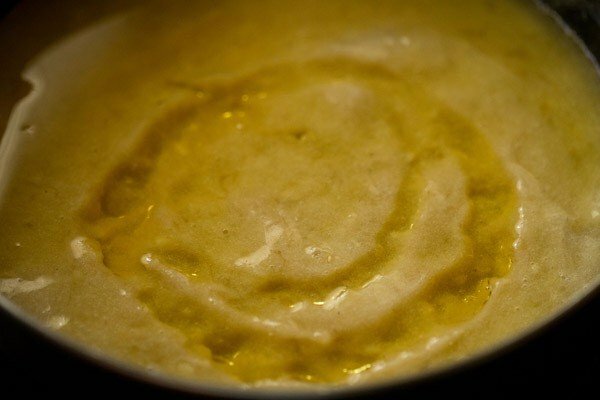 you can also blitz the bananas and sugar in a blender to get a smooth puree. add oil. you can also use melted butter instead of oil. stir the mixture very well with a wired whisk so that the oil is mixed evenly. add vanilla extract or powder. here i used vanilla powder. stir well. then add 1 tbsp lime or lemon juice. mix well and keep this wet mixture aside. 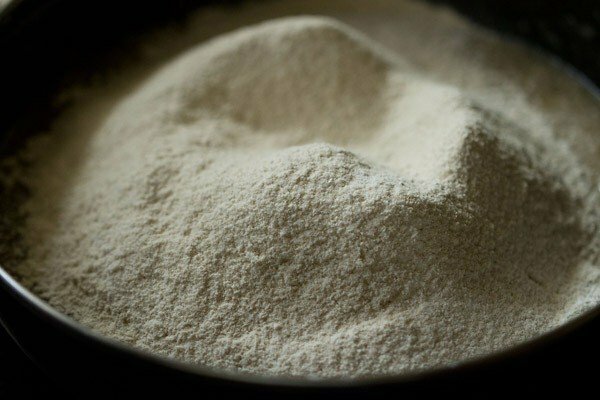 begin to seive 1.5 cups whole wheat flour/atta, 1/2 tsp baking soda, 1 tsp baking powder, a pinch of salt directly in the wet ingredients bowl. you can also seive the dry ingredients in a plate or tray and then add later. holding a spatula, with light hands gently fold the dry ingredients with the wet ingredients. don't over do the folding. the muffin batter ready to be poured in the muffin liners. spoon the batter in muffin liners till 3/4th of the liners. using a spatula remove the excess batter from the bowl and add to the muffin liners. place the muffin tray in the center rack with both the top and bottom heating elements of an OTG. bake the banana muffins in the preheated oven at 180 degrees celsius/356 degrees fahrenheit for 30 to 35 minutes or till a tooth pick inserted comes out clean. the recipe yields 10 regular sized banana muffins. 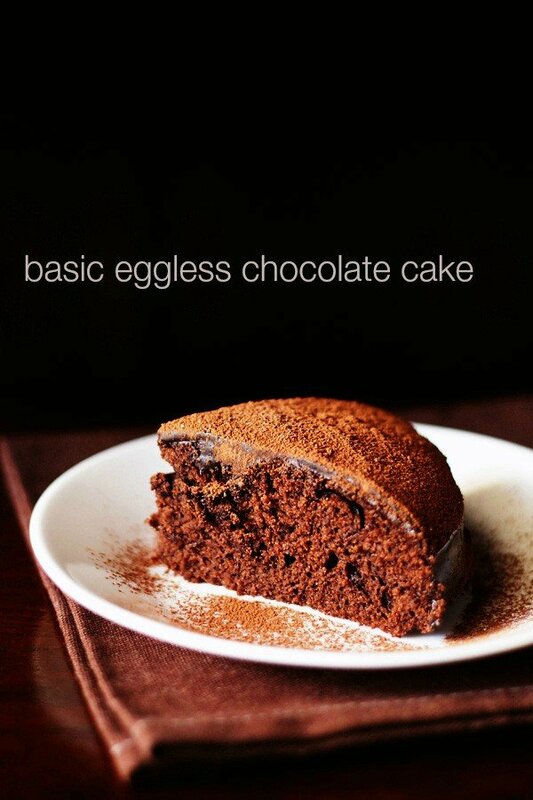 temperatures in ovens differ, so do keep a check while baking. your oven might bake the muffins in 20 minutes or even 40 minutes. it took a total of 35 minutes for the banana muffins to bake in my oven. the tops should be golden. the final check is that a tooth pick should come out dry or with fine crumb particles. there should be no stickiness. 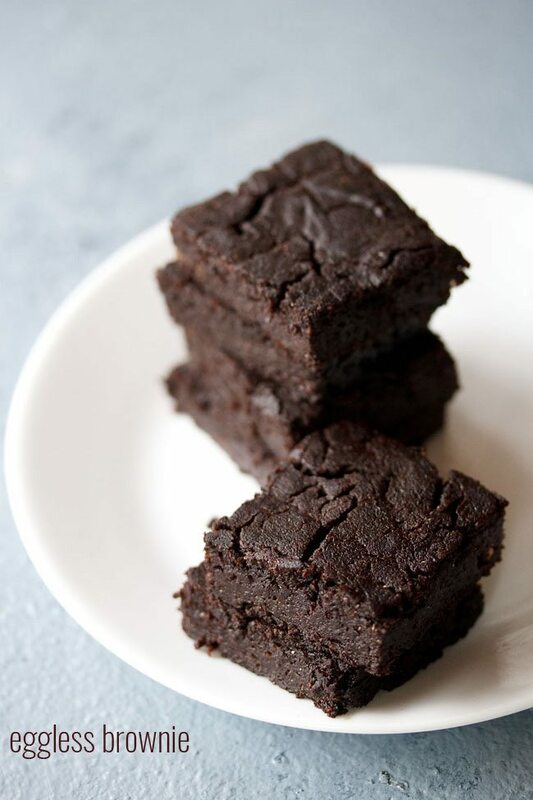 use the same temperature for baking in the convection mode of a microwave oven. 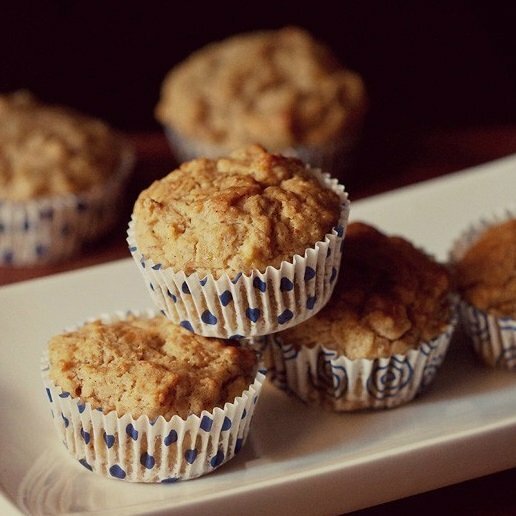 once warm or cooled at room temperature, serve these eggless banana muffins as sweet snack or dessert. the recipe can be halved or doubled. 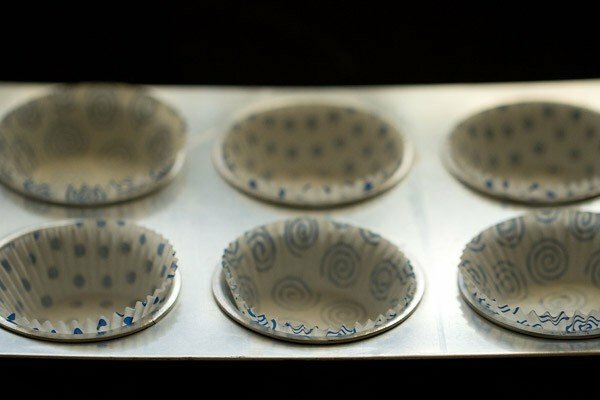 1. line a muffin tray with muffin liners. also preheat the oven to 180 degrees celsius/356 degrees fahrenheit for 15 minutes. you can use the same temperature for preheating in the convection mode of a microwave oven. 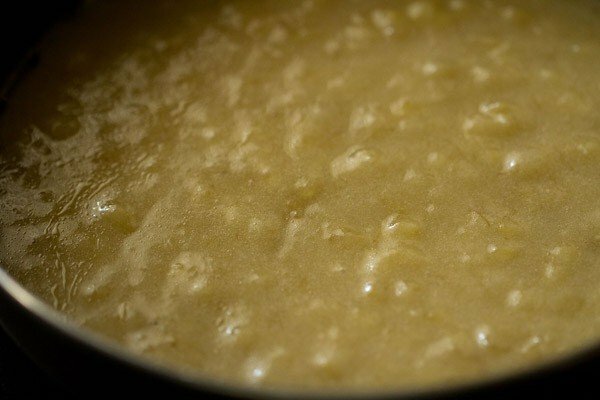 2. in a bowl take 400 grams chopped bananas and ¼ cup sugar. 400 grams bananas is about 3 large or 5 medium bananas or 14.10 ounce. ¼ cup sugar makes the muffins just sweet. this is fine for our taste buds, but if you want more sweetness than increase the sugar to ⅓ cup. 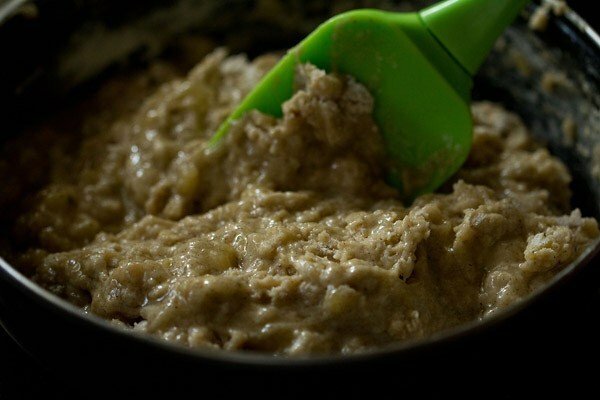 3. begin to mash the bananas with a fork or a masher till smooth. a few small chunks of bananas are fine. 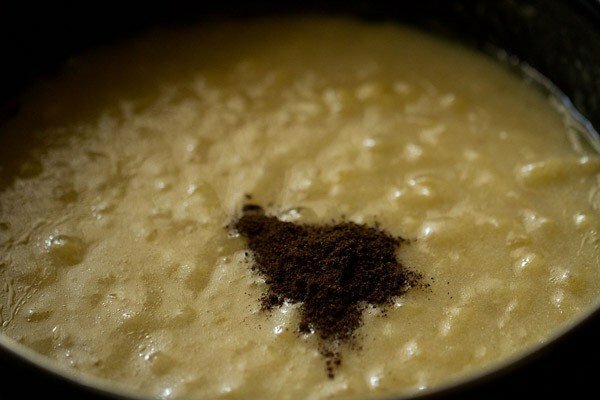 you can also blitz the bananas and sugar in a blender to get a smooth puree. 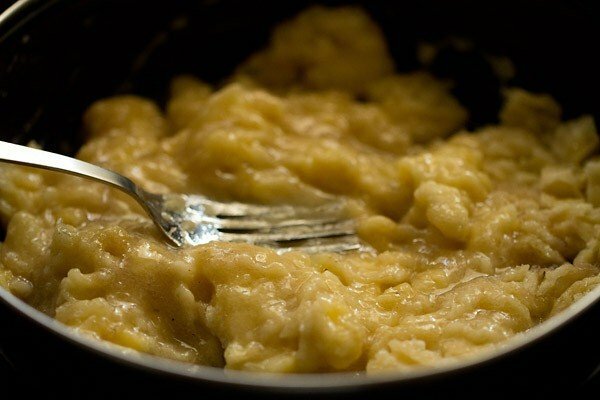 4. here is the mashed bananas and sugar mixture. 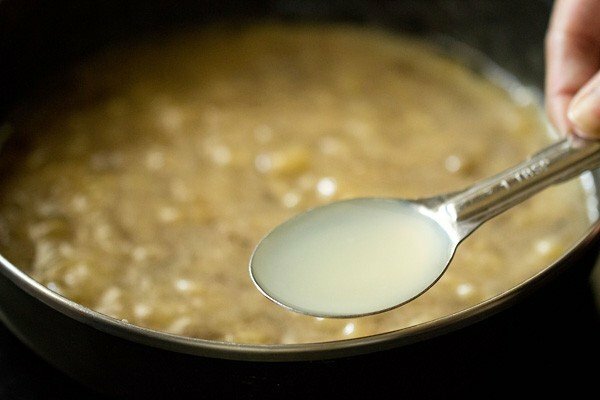 5. add ½ cup oil. you can also use melted butter instead of oil. from the choices of oil, use any oil like sunflower, olive, rice bran or safflower oil. 6. stir the mixture very well with a wired whisk so that the oil is mixed evenly. 7. add vanilla extract or powder. here i used vanilla powder. stir well. 8. then add 1 tbsp lime or lemon juice. mix well and keep this wet mixture aside. 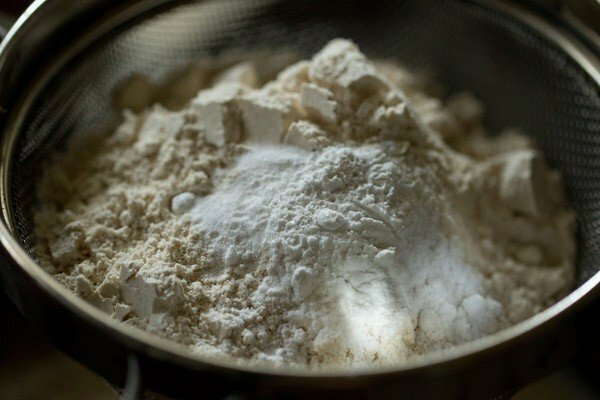 9. begin to seive the dry ingredients – 1.5 cups whole wheat flour/atta, ½ tsp baking soda, 1 tsp baking powder, a pinch of salt directly in the wet ingredients bowl. you can also seive the dry ingredients in a plate or tray and then add later. 10. the seived dry ingredients ready to be folded. 11. holding a spatula, with light hands gently fold the dry ingredients with the wet ingredients. don’t over do the folding. 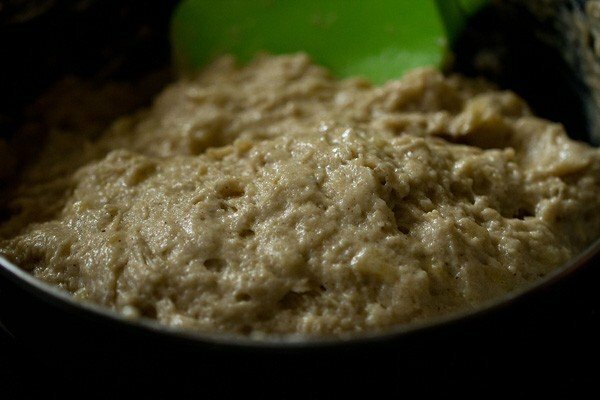 12. banana muffins batter ready to be poured in the muffin liners. 13. spoon the batter in muffin liners till ¾th of the liners. using a spatula remove the excess batter from the bowl and add to the muffin liners. 14. place the muffin tray in the center rack with both the top and bottom heating elements of an OTG. 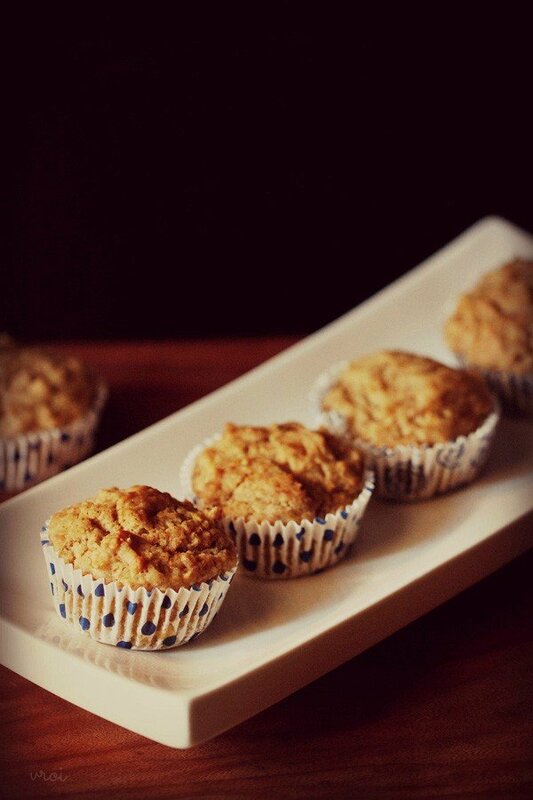 bake the banana muffins in the preheated oven at 180 degrees celsius/356 degrees fahrenheit for 30 to 35 minutes or till a tooth pick inserted comes out clean. the recipe yields 10 regular sized banana muffins. temperatures in ovens differ, so do keep a check while baking. your oven might bake the muffins in 20 minutes or even 40 minutes. it took a total of 35 minutes for the muffins to bake in my oven. the tops should be golden. the final check is that a tooth pick should come out dry or with fine crumb particles. there should be no stickiness. 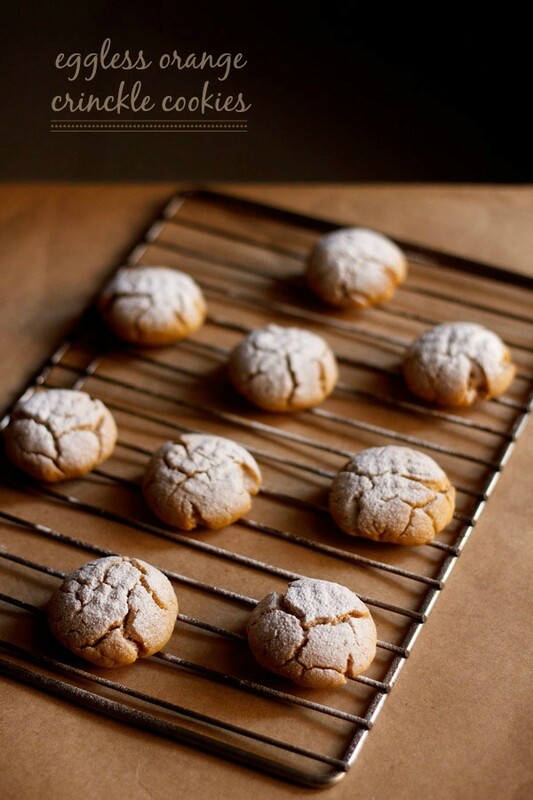 use the same temperature for baking in the convection mode of a microwave oven. 15. once warm or cooled at room temperature. 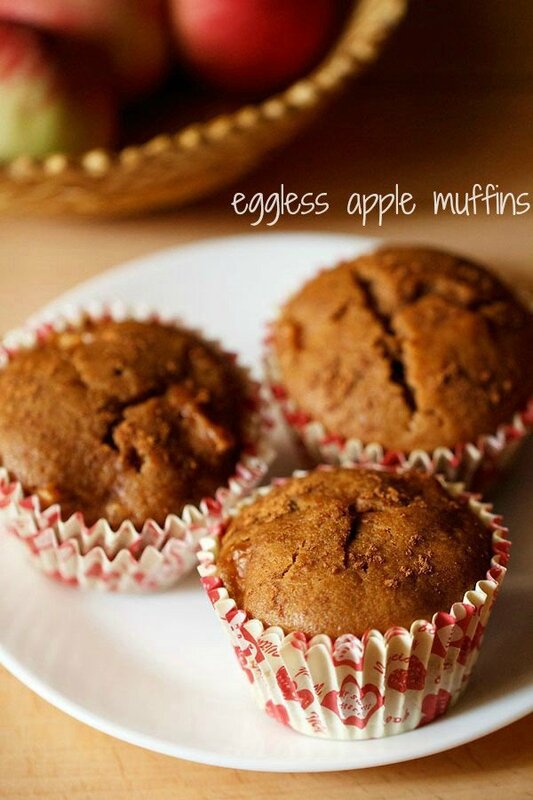 serve these eggless banana muffins as sweet snack or dessert.